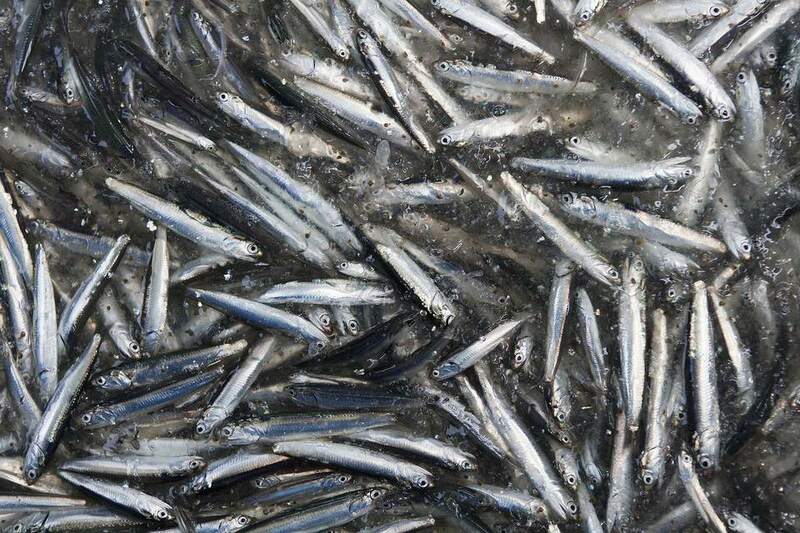 If you have bought fresh anchovies, chances are they are still whole and will need to be cleaned. Do yourself a favor and clean them at once -- do not waste time, as anchovies deteriorate faster than almost any other fish. It is easy to do, although it can be time-consuming if you have many dozen anchovies. Start by washing your anchovies under cold water. Anchovies have unusually large scales for such small fish. Scale them by scraping them backward -- tail to head -- with a butter knife. You can do this under cold running water, or you can do it over a bowl of ice water; this uses less water. Rinse them all off once you have scaled the anchovies. Start by cutting at an angle behind the anchovy's head. Make another diagonal cut from the middle of the first cut to the vent, which is just in front of the anchovy's bottom fin. Remove all the guts and wash under cold water. Your anchovies are now ready to preserve or cook fresh. How Do You Select and Cook Fish?